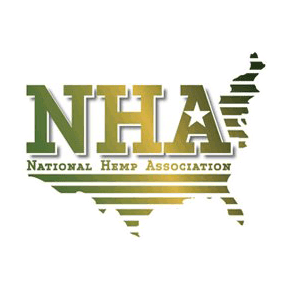 Blog New DEA Announcement Regarding CBD Ban Doesn’t Affect Us! This new rule does not create any new substantive regulation or law regarding the legal status of marijuana or marijuana extract. Instead, it creates a new tracking code number for “Marihuana Extracts” (which include cannabinoids). Yes, it’s spelled “Marihuana” here as the DEA spelled it that way in their announcement today. Not sure why exactly. Previously, Marijuana Extracts were classified under the code number for “Marihuana. Under the new rule, extracts are now classified separately. The DEA uses these codes to track quantities of controlled substances imported to and exported from the United States. This new rule affects only DEA-registered entities who previously were required to track such materials. As the document states, “[t]he only direct effect to registrants who handle marihuana extracts will be the requirement to add the new drug code to their registrations.” The rule goes into effect on January 13, 2017. Lastly, the DEA was purposely de-funded by the US Congress last year (and is poised to do the same for this year: (https://archives.sfweekly.com/thesnitch/2015/12/16/congress-set-to-ban-feds-from-enforcing-cannabis-laws-again) from pursuing any enforcement of their archaic interpretation of the Controlled Substances Act (CSA) in legal states.